In Ontario, there are three main ways to receive disability benefits: through a private insurance policy, through the Ontario Disability Support Program and through the Canada Pension Disability Plan. An experienced disability lawyer can significantly increase your chances of receiving disability benefits in the event you suffer disability. Our disability lawyers are specifically trained to review and interpret disability policies of insurance and trained in the proper process of advancing a disability benefits application. Insurance policies that cover disability losses are not all the same and each policy must be reviewed carefully to determine the eligibility criteria for disability benefits. If your employer does not offer short and long term disability packages, you may qualify for government run disability plans such as the Ontario Disability Support Program and the Canada Pension Disability Plan Program. In all cases, in order to qualify for benefits, you must satisfy the stated criteria in the policy of insurance or under the applicable statute. It is not uncommon for insurers to deny benefit claims initially or at some period of time after the initial approval was provided. In many cases, insurers will deny benefits even in the face of clear medical evidence supporting the disability claimed. In our experience, in many cases, once our clients have involved us in the process, insurers reverse their decision and reinstate benefits. The involvement of one of our experienced insurance lawyers makes a significant difference in claims being approved or reinstated. We understand that for most people, denial of insurance benefits can have a devastating effect on their lives when income is reduced to zero and expenses continue to occur. Denial of coverage or delays in payment once coverage has been accepted is stressful and can cause devastating consequences. 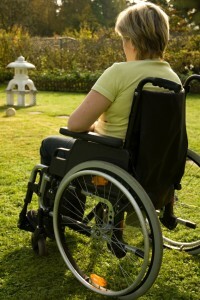 If your disability benefits claim has been denied or terminated by an insurer, we can help.